Sopheap is one of the great success stories of Prasat Char village. Having grown up in the village, he studied English at the pagoda (an Asian religious building, built as a shrine or temple) and a local NGO. Sopheap has worked as an English Teacher for Helping Hands since the very beginning, in 2006. He was also the first of our University Scholarship recipients, and in fact the first person in the village to attend University! All of his hard work and commitment has paid off, and in December 2017, Sopheap was promoted to Project Coordinator. Every day he sets a perfect example to our students and the rest of the village: we are all very proud of him! 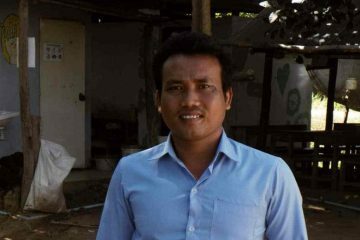 Originally from another province, Neang moved to live and study near Bayon Temple in Siem Reap when he was 14. He attended the local primary school, where he met Sopheap (Project Coordinator), and the two became good friends. 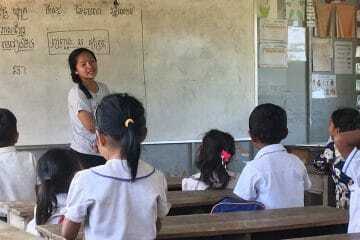 Neang studied English Teaching at University in Siem Reap, and then became an English Teacher at Helping Hands in December 2016. 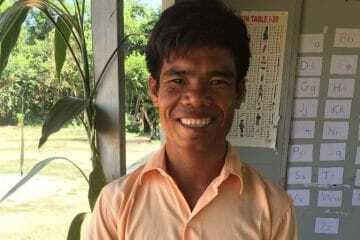 Neang also likes cooking and often cooks for himself and other staff at lunchtimes, which everyone enjoys! Dalie is our newest recruit. She grew up in the village and is a former Helping Hands student herself. Thanks to a Scholarship from the Stott family, Dalie is currently in the third year of her University degree. 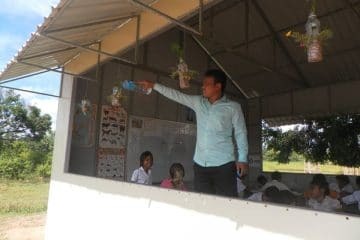 Dalie has already completed two teacher training courses in Siem Reap, and has practical experience from working at the local government school. 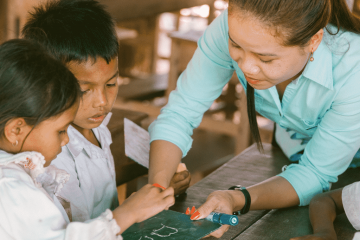 Dalie already knew the children at Helping Hands, and with her experience she was the perfect choice for taking over the Kindergarten and Basic English classes. Despite working full-time and studying in the evenings, Dalie always has lots of energy and a big smile on her face! Youey was originally a student at HHC and after graduating, he returned as a volunteer to assist in the library, and in English lessons. He enjoyed the role so much that when a part-time position became available to teach Basic English, he jumped at the chance to take it! 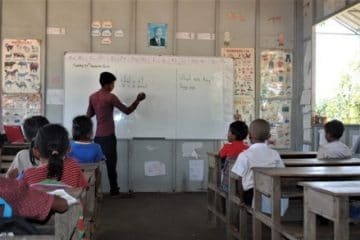 Youey has recently been awarded a Scholarship from Helping Hands and has begun studying for his TESOL at University in Siem Reap, which will equip him with the knowledge and confidence to continue developing and pursuing his dream of teaching. Sovanna loves to hug people, and her natural warmth makes her the perfect person to run one of our kindergarten classes at school. 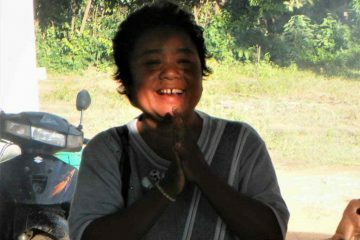 Though she has no formal teacher training, she succeeds in helping our juniors with the demands of learning the Khmer language, she is also very musical and enjoys teaching music and dance. 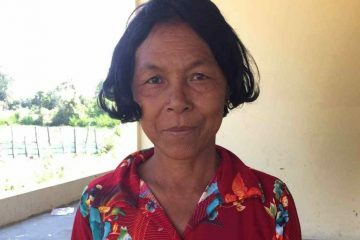 As she comes from the local village and has an active role in community work, Sovanna is well known and much loved by her young students. 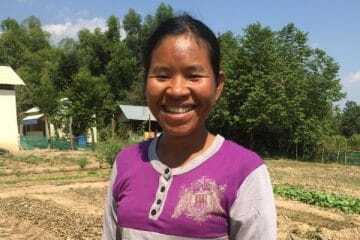 Kong has lived in Prasat Char village her whole life, and is trusted and well liked, which makes her the perfect candidate for working so closely with the students and their families as our social worker. 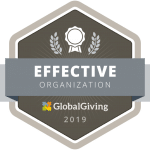 She has worked at Helping Hands since 2014, and also works part-time as a Kindergarten Teacher at the local government school. Rhi originally started at Helping Hands as an assistant to our Gardener, but in January 2018 was promoted to the role of Breakfast Coordinator. 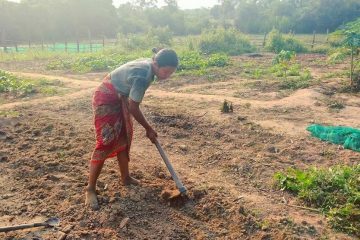 She now manages our onsite garden where she plants, grows and harvests organic fruit, herbs and vegetables for the project's breakfast programme. She also manages the kitchen, ensuring that our students are getting the right nutrition to support their health and learning. For Rhi it is a very fulfilling role. Hann is one of the newest members of our team. She cycles to work every day, arriving at 6am, and assists Rhi in tending to the garden and preparing breakfasts for our students. Hann also does a great job of stepping up and taking over the coordination of the Breakfast Programme when Rhi is on holiday.